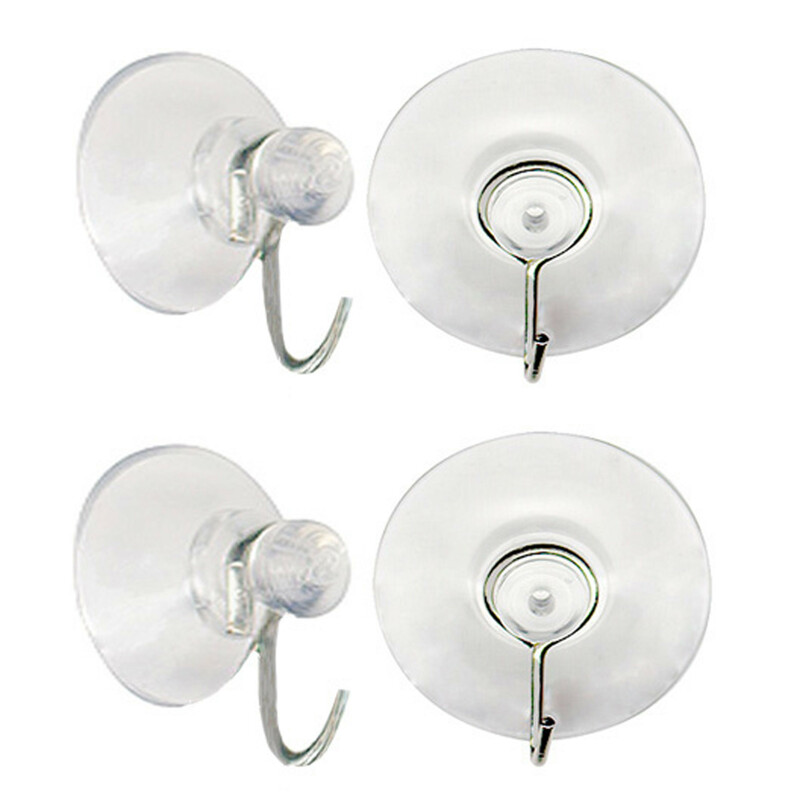 4 pack of small suction cups with zinc plated steel hooks. Ideal for displaying crafts, decorations and such. Wet the suction cup before attaching to the surface for better results. 1-1/8 diameter.